December 20th, 2015. With this year's Jump Festa over, the annual festivities have finally come to a close. 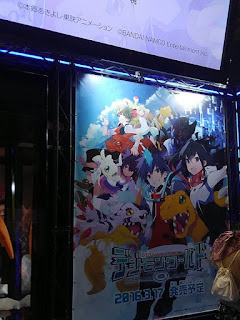 The expo held a number of surprises for Digimon fans, chiefly at the Bandai Namco Entertainment booth, where a demo and trailer for Digimon World -next 0rder- leaked the formal debut of Xros Wars in a World game, as well as the first voice acted scenes in -next 0rder-. Fans were also able to hear Aoi Eir's upcoming single Accentia in the trailer. Near the end of JF2016, Aoi herself uploaded a pair of post-recording photos of her with her songwriter Yasuda Takahiro, asking fans to look forward to both the new Digimon World and Accentia. 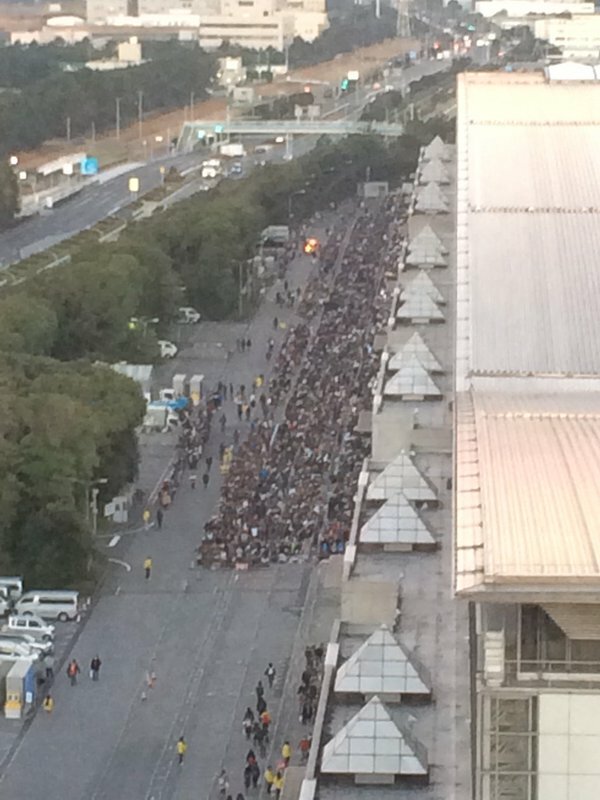 Although not quite visible from space, the line for Jump Festa was certainly significant this year, starting as early as 6:30 AM. Guests at neighboring hotels could see the line wrapping around the side of the building. 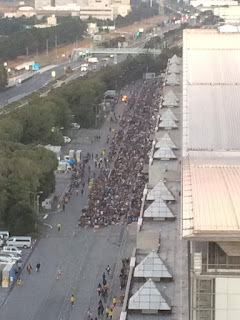 Every year Jump Festa attracts thousands of fans from across Japan, upwards of one hundred thousand across both days. The event originally started in 1999 as a coordinated expo between Jump magazine publisher Shueisha and a number of media companies, and Digimon was with the festival from the very beginning. At JF2016, figure production studio MegaHouse had the most to announce, introducing their product lineup for the coming year featuring G.E.M. Series Ishida Yamato & Garurumon, Beelzebumon Blast Mode & Impmon, and the Koro Collection figure set with Yagami Hikari and five different versions of Koromon. 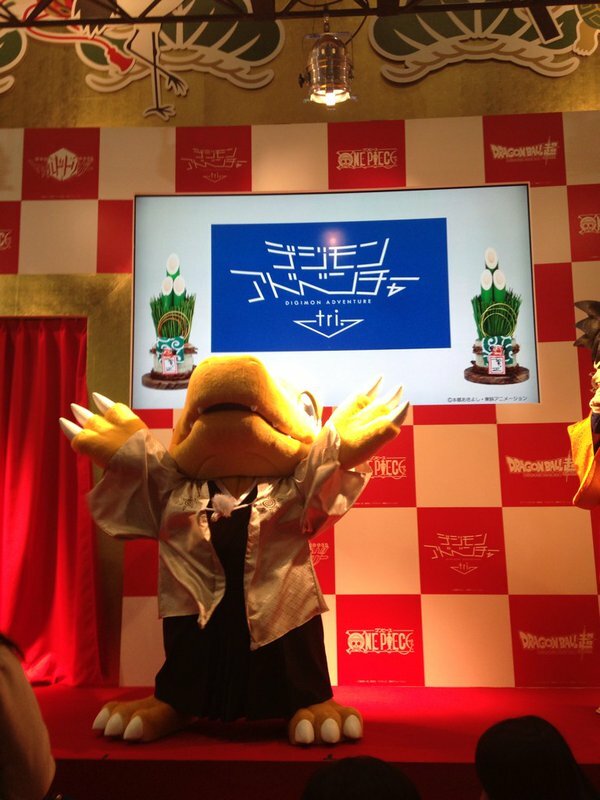 As at Jump Festa 2015, Bandai had their Agumon mascot character present, at both the tri. and -next- 0rder- sections of the festival grounds. A video of the mascot caught dancing briefly took off on Twitter and other social media platforms. At the trial play area for -next 0rder-, fans waited in line to demo the game. While waiting they could view the Jump Festa trailer on a nearby monitor. 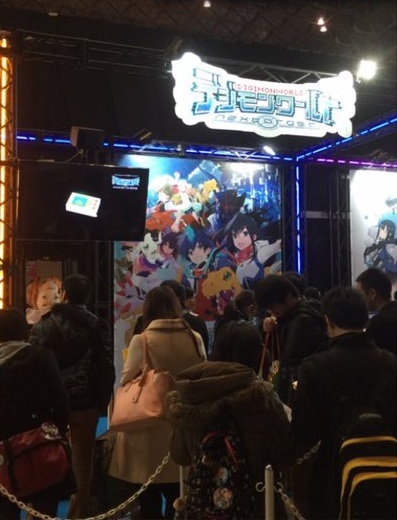 The same trailer was also shown on a larger screen at the Bandai Namco Entertainment booth. Fans could only play the game for five minutes at a time, having their choice of either Takuto or Shiki, each with their own set of partners; Agumon & Gabumon for Takuto, and Piyomon & Palmon for Shiki. The demo of the game didn't reveal any story content, but had players navigate through a grasslands area fighting Goblimon with their partners. 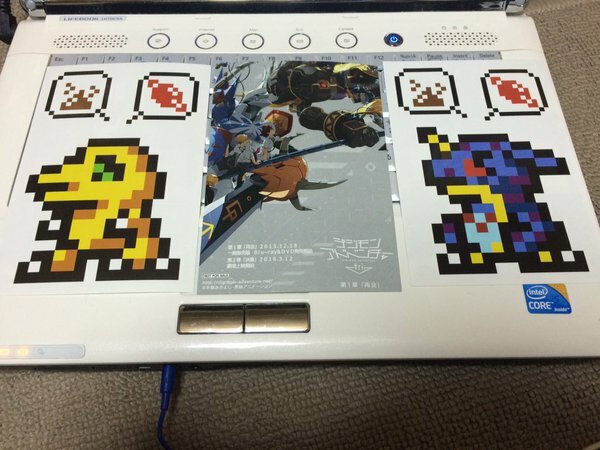 Those that played were given a set of jumbo Agumon and Gabumon LCD stickers to promote the game. This year's Jump Festa was a relieving sight for Digimon fans. The franchise was absent from Jump Festa 2014, and at last year's JF2015 its future was uncertain; little was known about Adventure tri. at that point, and sixteen months had passed since Digimon had released a video game on a handheld or home console. With Cyber Sleuth having been playable for the first time, there was hope, but not the kind of concrete faith that Bandai could deliver that fans have now. 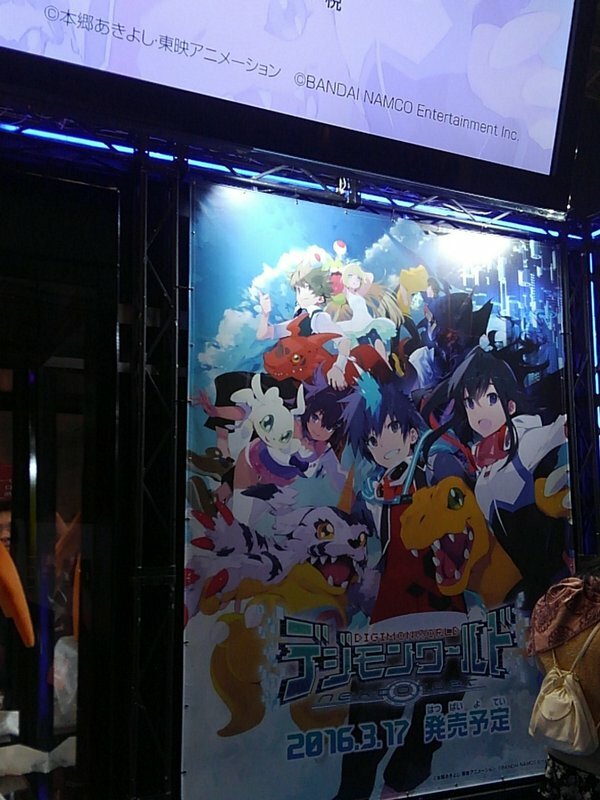 Digimon is alive and in the black; "popular" might not be accurate given the small scale of tri., but Jump Festa will seeing Digimon again next year. 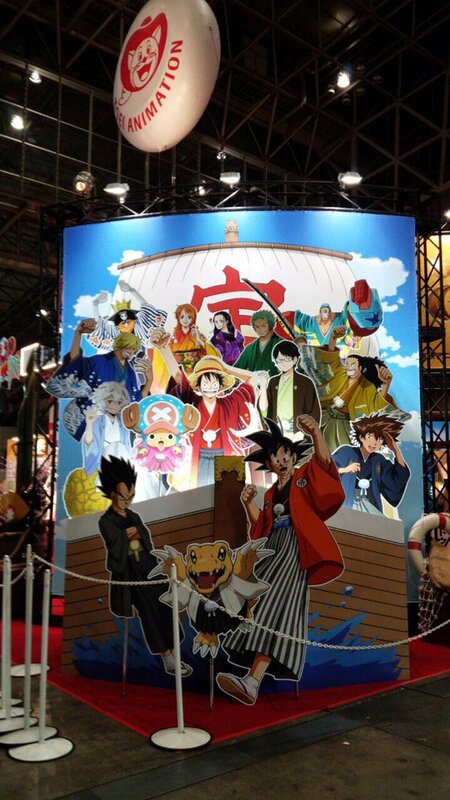 At Jump Festa 2017, tri. will likely be near or on its fourth chapter, and -next 0rder- will be nine months old. What will we have said about the game by then? Where will the brand be globally? The world is waiting. Are you? Touya who is the character that appears in the case of Next Order in the distance between Luche and the Executor? And what is he holding by the way? It looks like it's actually the unnamed man that looks like Hiro, leaning to the side.